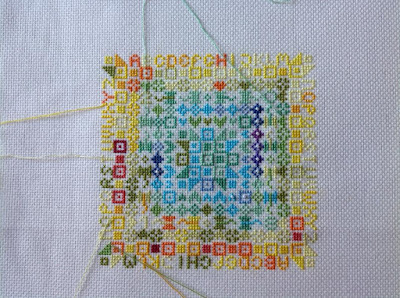 Serendipitous Stitching: October WIPocalypse Rotation or OAAT? Lavender & Lace Enchanted Alphabet. 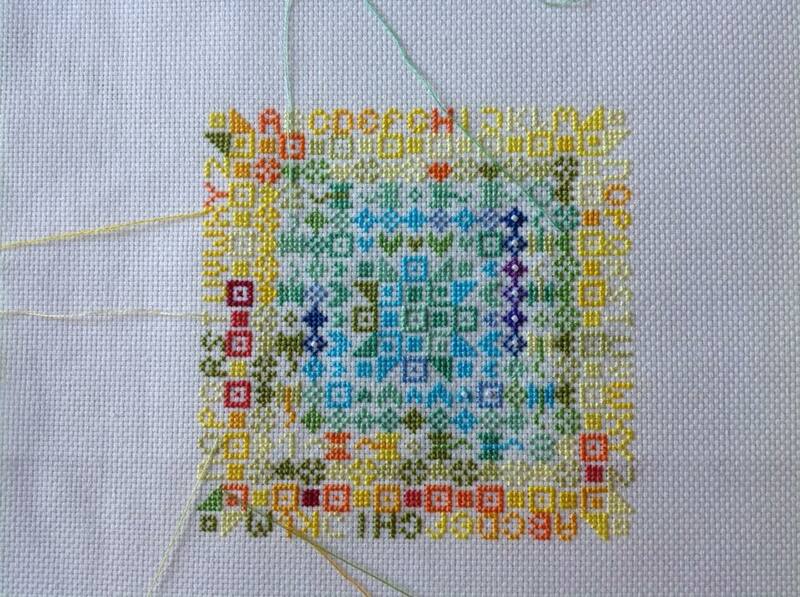 I have finished all the letters now and am adding the embellishments from various other charts. I started a wrought iron gate at the bottom of the piece. Just Nan Haunted Autumn Mouse in a House. This was my 10-a-Day project (stitching the frames) and it came up several times in the Tiny Decisions app so I got plenty done this month. Jardin Prive Happy Hallowe'en Night - a finish! Happy Dance! October - Do you prefer to stitch on a rotation or one project at a time? Then I choose a project from my "18 in '18" to focus on. These are the 18 projects I chose at the beginning of the year to stitch and hopefully finish that year. This month I stitched on four of them. You can see the full list and progress here. Finally, the next post you will see here will be the annual Hallowe'en Trick or Treat Blog Hop. Hope you all enjoy the spooky fun, visit some blogs and leave some encouraging comments! Nice progress! Love seeing all your different projects. Beautiful progress and a WONDERFUL finish. Congrats!! Excellent progress and wonderful finish, just in time for Halloween. I like how you incorporated an extra color on the Jardin Prive. It's amazing how much you get done on Alice just during bathtime. Good luck with the finishes touches on Enchanted Alphabet, I can't wait to see it in all its glory. You are inspiration to us all, Jo! Of course, I love that Halloween finish and the alphabet is looking wonderful!! Perfect timing for a Halloween finish, I loved seeing this on develop. I admire your discipline with your rotation. You always have plenty of stitching to show. I've tried rotations but it doesn't work for me. Great progress and happy dance! I admire you for sticking with your rotation so well. It's very impressive. Congrats on your happy dance! It just kind of occurred to me the that your O looks a bit like Jack Skellington. I never would've guessed you did a rotation, nooo. I wonder if you could finish a HaED in a few months if you were OAAT?